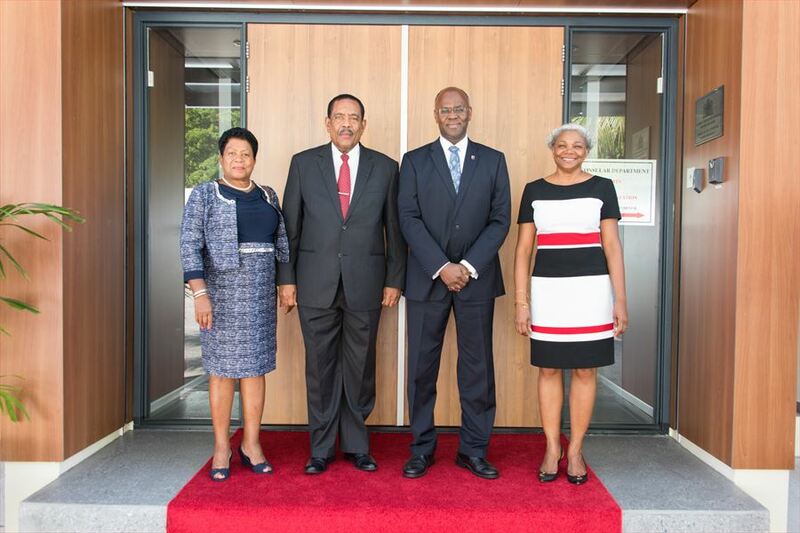 Harbor View, October 13, 2016 - The President of the Commonwealth of Dominica His Excellency Charles A. Savarin and First Lady Clara J. Savarin were welcomed today by the Governor of Sint Maarten His Excellency Eugene B. Holiday and First Lady Marie-Louise Holiday upon arrival at the Cabinet of the Governor of Sint Maarten. It is the first time that the excellences and first ladies met each other. 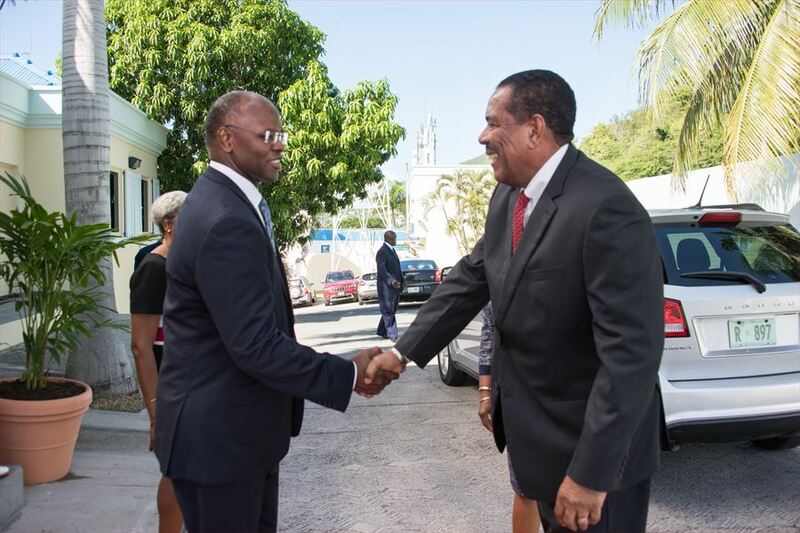 Parties spoke privately in the Governor’s office where they exchanged views on the relations between the people of Sint Maarten and the Commonwealth of Dominica.